Get your Kleenex and wipe off all your makeup kids, it’s time for Dallas Green to make you cry again. After two years since Little Hell, Green took the same approach on this album by incorporating a full band on the record. If you’re looking for heartbreak, purpose, and tears, then step on board City & Colour’s The Hurry and the Harm. The Hurry and the Harm opens with the title track and sets the foundation for the album. It’s the same great City & Colour sound we’re used to. It’s obvious that Green knows what he does works and he executes it effortlessly in this track. He also introduces the whole theme of the album. “Why are we so worried about the hurry, and less about the harm?” In light of the fast-paced YOLO lifestyles, it’s nothing but refreshing to hear an artist that wants people to slow down. To take in potential and opportunity and create a life without regret in a way that doesn’t involve MTV. The ride continues in ‘Harder Than Stone.’ The song not only establishes what City & Colour write about, but the strength the full band sound really has. It’s clear that Green has lived a life of intense ups and downs, and it resonates in his music. There is a special dark majesty behind the sound of City & Colour that sets it apart from other bands. “And I ain’t afraid of dying” is just a sample of the topics Green writes about that truly makes the listener feel their inner mortality in ways they didn’t know it could be felt. 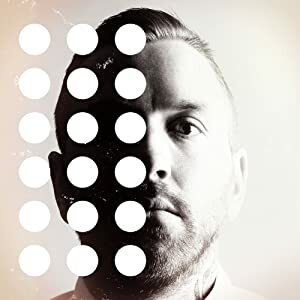 Old City & Colour sound makes an appearance in ‘Of Space and Time.’ The track has a more ‘Found Each Other’ feel to the sound, but has the same sense of feeling of lost that was present in old City & Colour lyrics. Obviously Green has kept true to his style and seems not to have any plans to deviate. If anyone could give the finger to haters better it would be Dallas Green. “What gave you the impression that your opinion means anything?” “You’re just a bunch of amateurs” are just some of the lyrics that anyone on the Internet can relate to. We all have seen those guys/girls/goons on sites where we imagine them sitting in their parent’s basement with nothing better to do. If at any point you have someone trolling on your site, just post this song and imagine them melting under all the embarrassment. The album’s first single ‘Thirst’ and the song ‘Two Coins’ are pretty much the last time we hear anything remotely heavy from City & Colour. ‘Thirst’ is that song you rock out to after a fight of any sort. The distortion on the guitars is something we rarely hear from City & Colour and is always a treat when we do. ‘Two Coins’ preludes the rest of the tracks in that it doesn’t try to be exciting but is still interesting enough to not make it as dark as the lyrics. Touching on mortality again, the quality in lyrics shine in this desolate song as the listener ponders on what fate and life has in store for them as well as the cold whisper “I’ve always been dark” haunts them in the distance. The rest of the album sort of takes it slow. Some may shy away from Green’s vocals as being whine-like and boring, but it seems to be all design. ‘Take Care’ encompasses all of what City & Colour is about. The ambient vocals are majestic and eloquent in order to put even more meaning behind the words. While mortality is touched on many parts of the album, Green’s vocals backed with a guitar explain the fragility and temporal mood that goes along with this topic. And how that having someone with you on the ride will make it all the more beautiful and worthy. ‘Ladies and Gentlemen’ continues the darkness of the album and talks about the confusing thing called “love”. It is tormenting and mystifying and all Green has to say is “good luck.” Coming from a married man himself, it seems almost ominous to the rest of us listening. The idea of slowing down the YOLO lives is tied together in ‘The Golden State.’ Green truly examines the image of California and all its wonder and beauty. Once he rips it away he shows it as this place where people go to make their dreams not happen. With clever puns in his lyrics, Green explains that it is not California he hates but rather it’s illusion. Living like it’s your last day only gets you so far, and it is puzzling to Green as to why people live like that. The album ends on a downer at no surprise. There isn’t a lot you can do with a song called ‘Death’s Song.’ Green has already made his points and cases, so this is just the cherry for the album. With solid composition, strong vocals, and multifaceted lyrics, it would be difficult to rate this album at anything other than perfect. Never did the album falter, never was there a sense of boredom, and never was it cliché, The Hurry and the Harm may be one of the most thought provoking albums of the year. Maybe we will see more music about slow appreciation of life in a sea of YOLO’s. The Hurry and the Harm will be released on June 4 via Dine Alone Records.